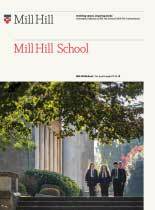 Atkinson is a relatively new day house in just its thirteeenth year, created as a result of an increase in the pupil population at Mill Hill School. The Reverend John Atkinson was the first Headmaster of Mill Hill between 1807 and 1810. The House is situated in the former Classics department adjacent to (arch rivals) McClure House. Mighty oaks from little acorns grow. Atkinson is home to close to eighty boys and girls between the ages of 13 and 18. In its brief history there have been many successes: Atkinson House has provide the School with a number of Senior Monitors, captains of Rugby, Hockey and Cricket and Oxbridge students. The tone has thus been set for ambitious, highly-motivated students with a keen sense of fun. A committed team of tutors help to ensure the highest of standards in the House and the brimming trophy cabinet is evidence of the House’s countless victories in the various inter-house competitions.